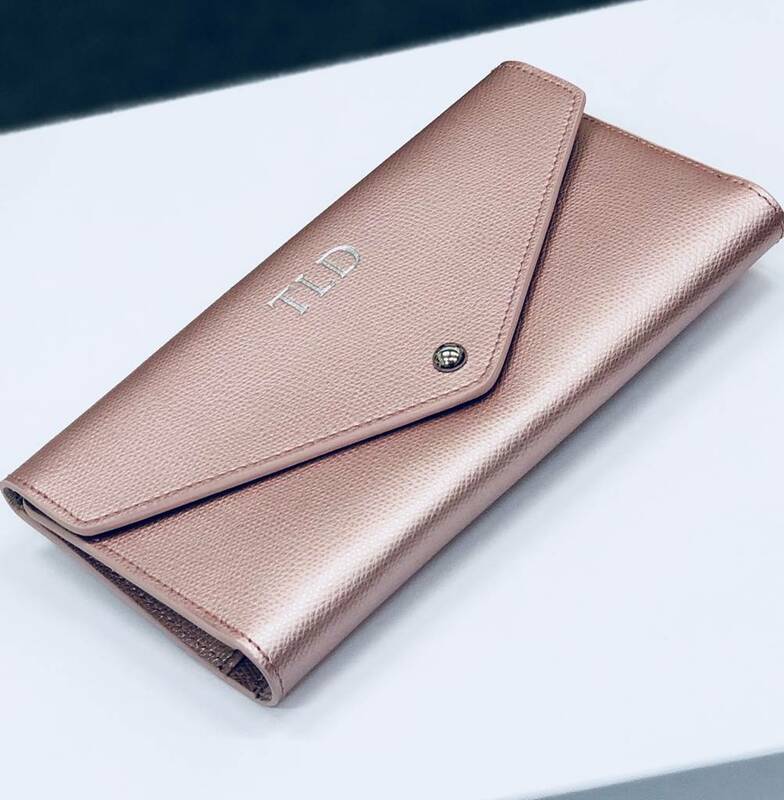 A gorgeous recycled leather travel wallet with a luxurious reptile effect finish. 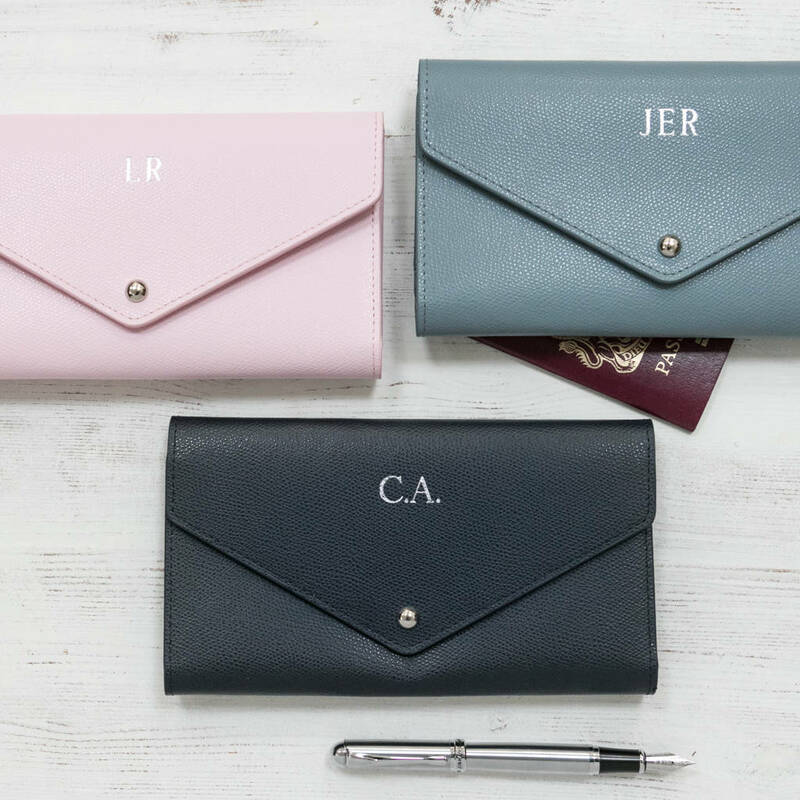 Easily personalised making it a super and thoughtful present. Exclusive to BeGolden. 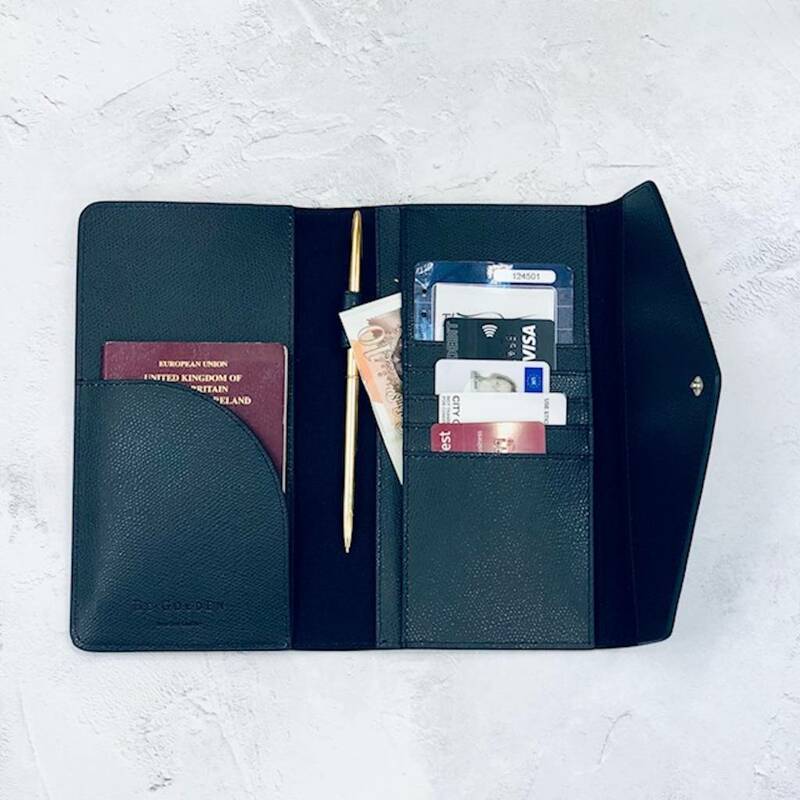 Such a stylish travel wallet! 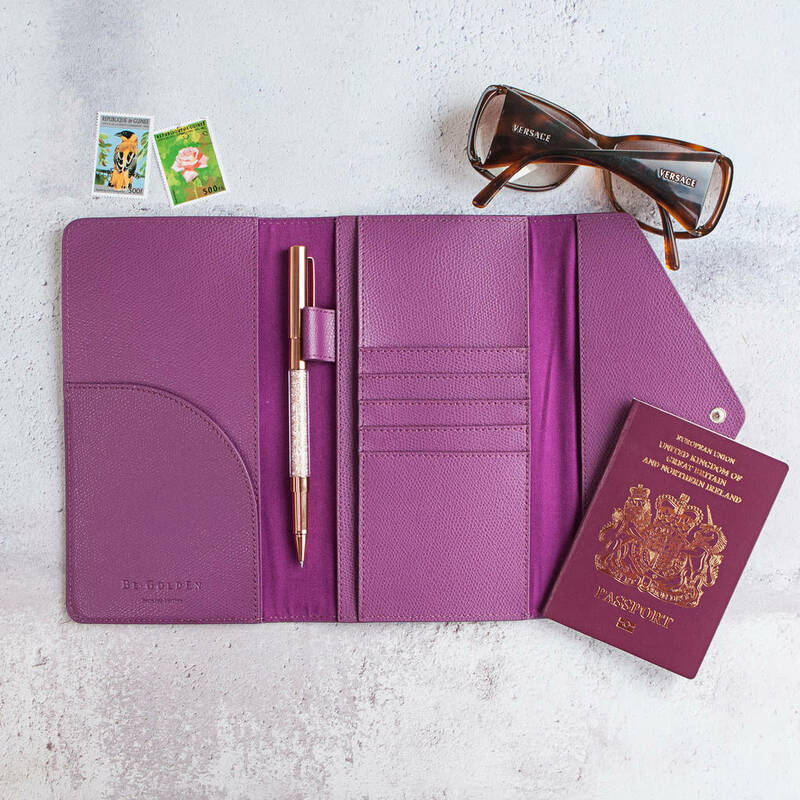 With a fold out design that reveals one side of two pockets ( perfect for holding a passport and boarding pass) and then a middle section of five card holding slots and two further large pockets ( great for print outs with hotel details, car hire booking confirmation etc. ). Also has a handy loop for a pen. 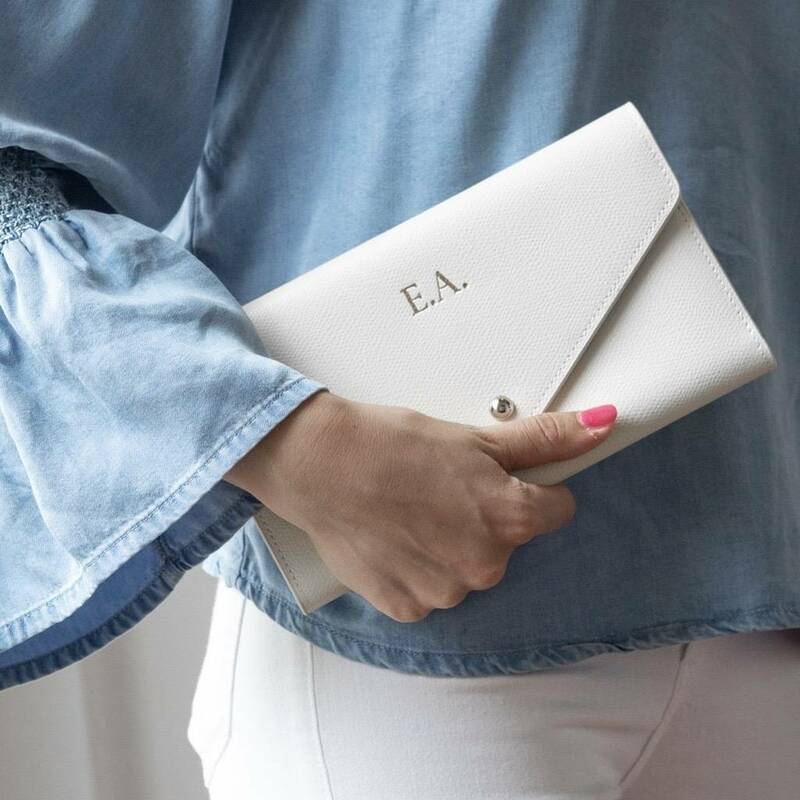 All is folded up into a beautiful clutch style travel wallet and secured in place with a metallic popper. 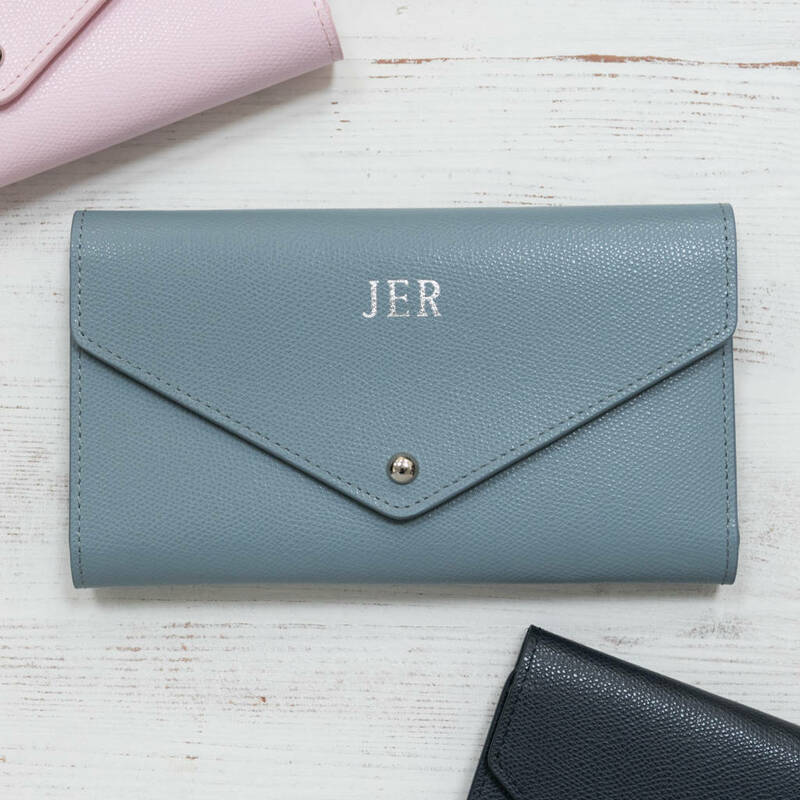 Make it a really special and thoughtful gift by adding personalisation of initials - positioned either on the outside or, for a more subtle personaliseation opt for the inside of the wallet. The personalisation, maximum 6 characters costs an additional £8. 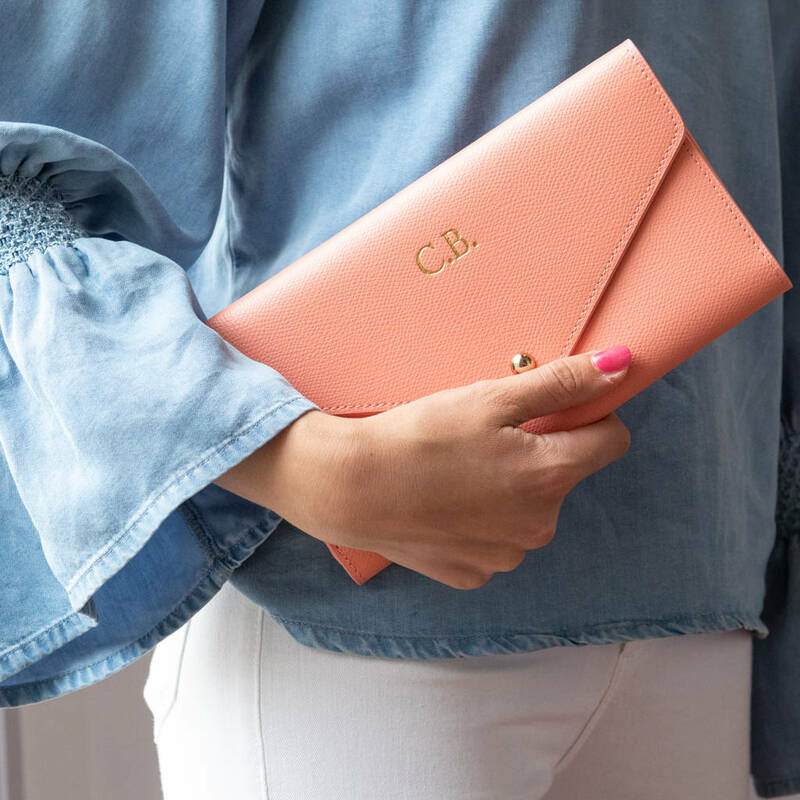 Your initials will be printed in capitals with or without dots, as you please eg. KLH or B.E.H. Just type the initials as you would like them to be printed in the box. We print in silver foil on all colours other than peach which is gold to match the popper. 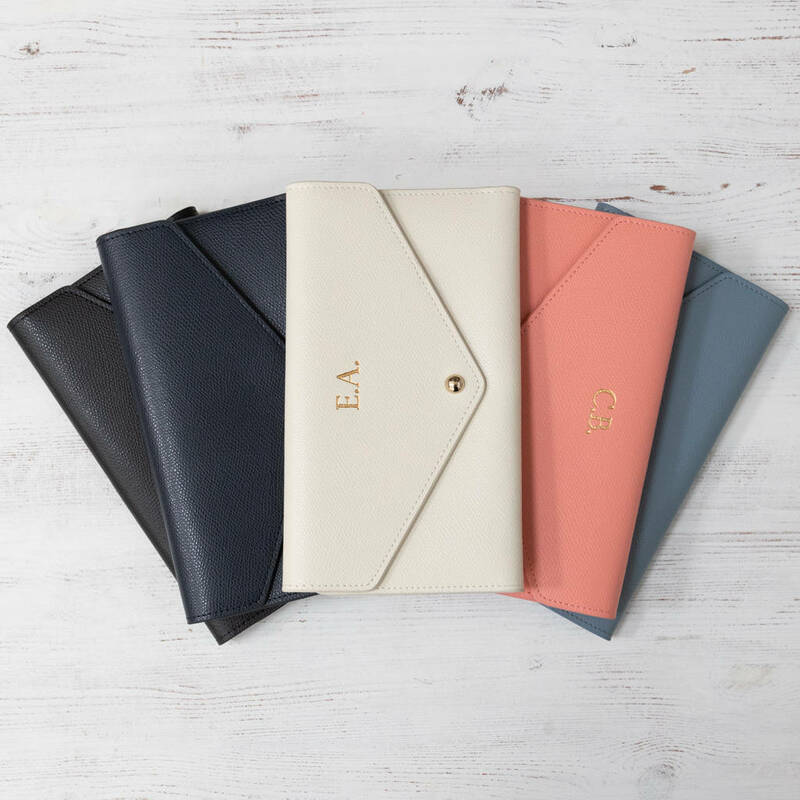 Colours available: ivory, midnight blue (dark navy), slate grey (mid/soft grey), black, iced pink (pale pink), metallic blush (rose gold), mulberry and peach. Beautifully made from premium recycled leather with a fabric lining - the colour of the lining generally matches or complements the leather colour, but there may be variations so do get in touch before you order if you want to check. Dimensions approx : 21 cms wide, 3cms thick and 12cms long when shut, 36cms long when opened. 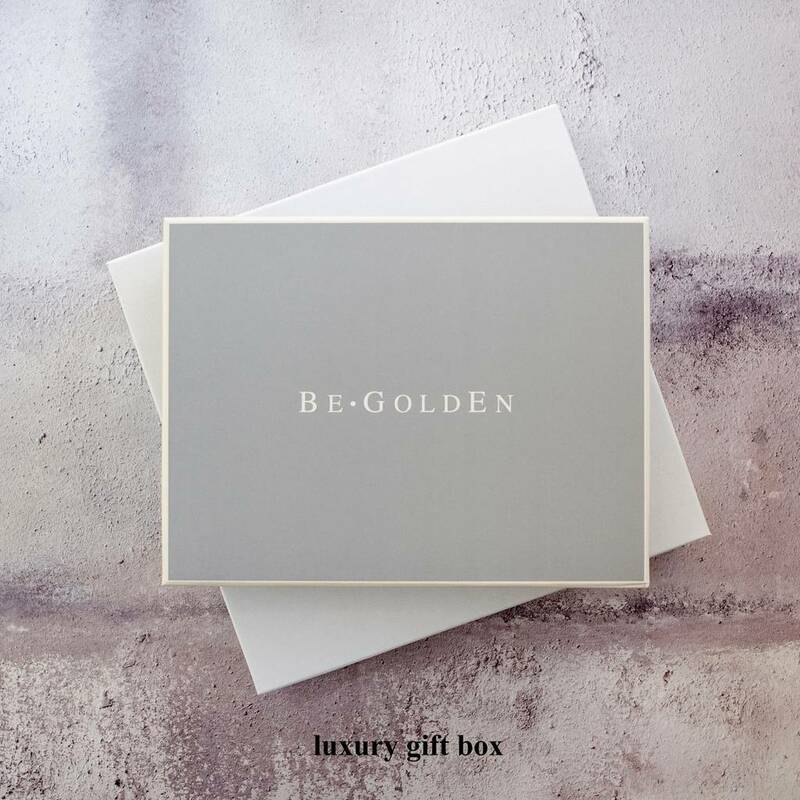 We offer a luxury presentation box - perfect if giving as a gift.